I finished reading Eben Alexander's book Proof of Heaven yesterday and highly recommend it. I rarely read the stories of other NDErs, but I'm glad I made an exception to that rule. Not only is the story engaging, but it backs everything up with science. I found the book quite moving. There was even an "Aha!" moment that helped me better understand my own experience as an NDEr. I wasn't expecting the book to affect me that way, but it did. And while I don't think a hard-core member of the atheist movement will read the book and re-assess their ideas about God, I will admit that it has me feeling a lot more like it's possible someone out there may truly have my back. I don't want to spoil the fun, so I won't say too much about the actual book. I will say that it isn't just the story of one individual, it's a story about a family going through a heart-wrenching experience and surviving it together. 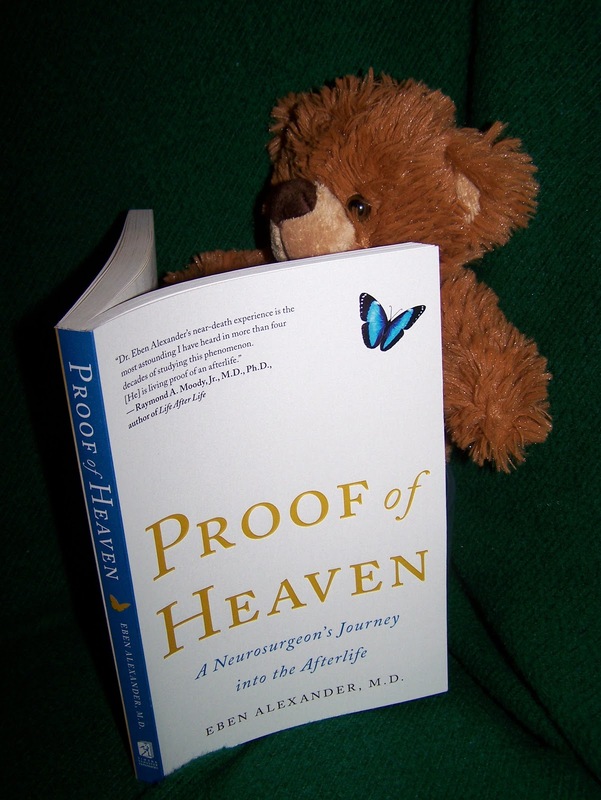 That would be more than enough, but then Dr Alexander goes on to explain what it means from a neurosurgeon's point of view and why a brain without a functioning neocortex can't have an NDE. Of course, at least once as far as medical science is aware, someone without a functioning neocortex did have an NDE. Just lucky for us, he wrote an awesome book about it! Michael Prescott never actually read the article in question. Greg Bishop at least did that much before making any comments in the Daily Grail. Greg points out some inaccuracies in Dittrich's reporting in regards to the Dalai Lama's reaction to Dr Alexander's account of his experience. The Esquire article has now been thoroughly debunked!